Project iMatzah in full swing! 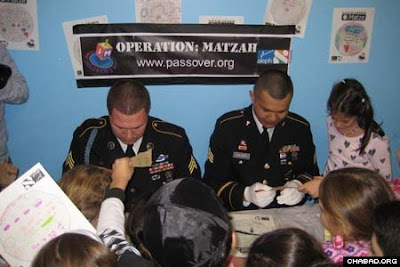 Visitors to the Jewish Children's Museum give their passover greetings to U.S. Army Sgts. Paul Davis of New York and Lewis Salboa of the Dominican Republic. At the end of the event, Salboa said that they "were very happy to partner with the Aleph Institute in this wonderful program." Zohar Schulman writes a note to her father, who is on active duty in Baghdad. 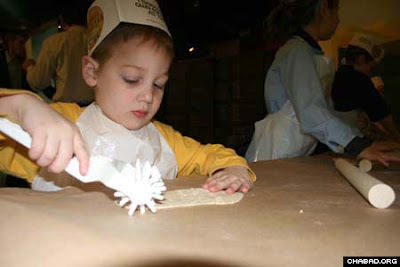 More than 500 children learned how to bake matzah Wednesday during Operation: Message in a Matzah at the Jewish Children’s Museum in Brooklyn, N.Y. Part of the museum’s annual matzah workshop, the joint program with the Bal Harbour, Fla.-based Aleph Institute sent a package of specially-baked Passover matzah to Jewish soldiers stationed abroad for every matzah the children baked themselves. 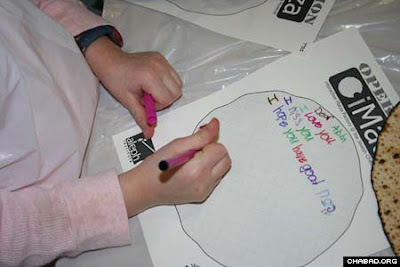 The museum visitors also filled out cards to bring smiles to American military personnel. 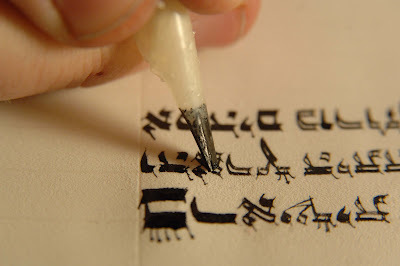 304,805: Letters in a Torah scroll. 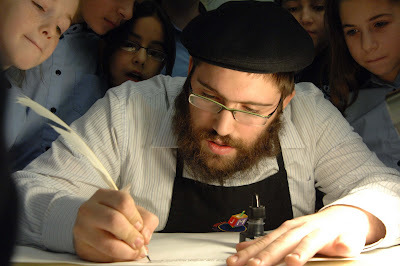 3,320: Years since the first Torah was handwritten on raw parchment. 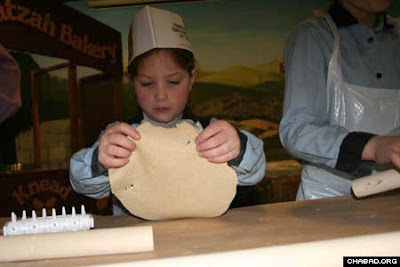 1: Chance to try it yourself. 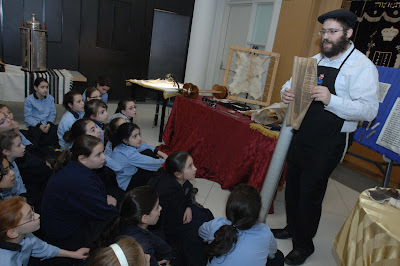 Children explore every element of the Torah-making experience during this spellbinding event. 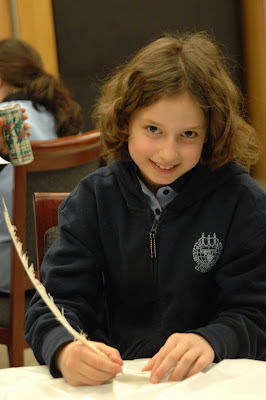 Uncover the history of hundred-year-old scrolls, see and handle unfinished hides for parchment, mix ink, fashion goose-feather quills and try your own scribal-scribble! 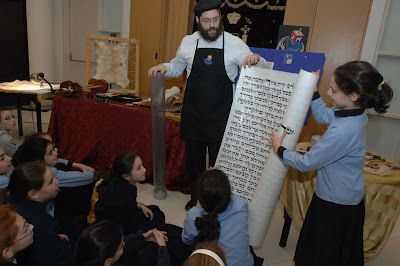 Workshop includes Torahs, Tefillin and Mezuzot of different traditions that survived persecution through the ages.